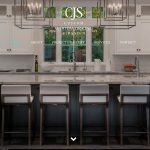 We weren’t totally ready to start our website redesign but once we spoke with Evelyn and Chad we couldn’t wait to get started. They listen carefully, they respected our design goals and they delivered fully on all their promises. We appreciated their valuable input on how we could make our website better than we envisioned it and the result was really a lovely site for our customers. Our webpage is in great hands with them and we look forward to continuing to work with them.